Found a short drive from Las Vegas is two wonderful tourist sites. They have constructed the actual London Bridge on the Colorado River exactly as it was in England. 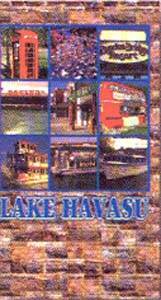 Lake Havasu is a great place to visit with all its natural beauty and water recreation. FREE shipping within the United States. Regular retail price is $29.95.